At Prosthodontics of New York, we believe in staying on the cutting edge of dental technology. New Yorkers know that’s not always the case in the city — just take the subway and relive early 20th century technology! But we think our patients benefit from our focus our staying up to date with the latest tech for their mouth. Here’s a sample of some of the technology we use. When we need to show you what’s going on in your mouth, we use our intraoral camera. This is a small video camera, about the size of a large pen, which provides instant/real time images on the computer monitor next to your chair. We use our intraoral camera to show patients exactly what we’re seeing, such as a crack in a tooth or gum disease, letting you in on the diagnosis. This is beneficial to help patients understand why they need a procedure that may not be exhibiting painful signs as of yet. This camera can also be a great tool for helping you deal with your insurance company. We can send digital (or printed) images directly to your insurer to verify a treatment need. Thanks to our CEREC 3D Design and Milling system, we can save our patients from needing an extra appointment when having porcelain crowns and inlays/onlays placed. Our CEREC system has two components. The first is a fully digital, 3D software system that allows Drs. Roberts and Sirota to design your prosthesis right there in the office, creating a three-dimensional model of patient crowns and inlays/onlays. The second part of the system is a milling station that then takes all the data from the design and mills the crown or restoration from a single block of dental-grade porcelain. How does this benefit you? In most dental practices, placing a crown is a two-appointment procedure. But at Prosthodontics of New York, we can prepare the tooth, take all the measurements we need and send them to the CEREC system. Then we design the prosthetic, have it milled instantly, and place it — all in a single appointment. We’ve completely switched to digital x-ray systems. Rather than conventional film being exposed by the x-rays, our digital x-ray systems use a sensor that the patient bites down upon. The sensor transfers the image directly into our computer system where it is instantly available to the dentist or hygienist at your chair. Far less radiation — Digital x-rays use about 90 percent less radiation than film x-rays. Transferring x-rays — If we need a second opinion or need to send your x-rays to a specialist, a click of the mouse does it. Environmentally friendly — Because there is no film involved, there aren’t any chemicals to dispose of. Plus, paper storage of x-rays non-existent. Is it time to put our technology to work during your next exam and cleaning? 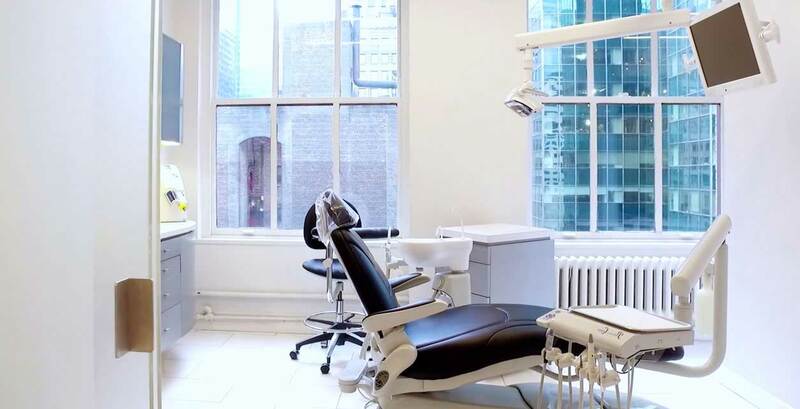 Call us at Prosthodontics of New York, (212) 758-9690, to make your appointment.